Use of orthopedic imaging equipment is highly crucial for diagnosing and treating injuries, diseases, and ailments related to bone, cartilage, and associated portions of the body. In recent times, widespread advancements are occurring in the context of design and functionality of orthopedic imaging equipment. Likewise, demand for orthopedic imaging equipment has dramatically evolved in recent times, thus giving rise to a distinct orthopedic imaging equipment market. Rising geriatric population has led to higher cases of bone injuries and ailments to exist among the masses, consequently driving the orthopedic imaging equipment market. This is mainly because of an extensive use witnessed by different orthopedic equipment types to diagnose and treat various bone-based ailments. Increasing number of sporting as well as other adventure-based events all over the world is also leading towards an increase in bone related injuries, consequently driving the global imaging equipment market. A rise in the number of road accidents by the thousands too has caused a surge in bone injuries occurrences. In order to treat these injuries, use of orthopedic imaging equipment is highly necessary, thereby notably boosting the global imaging equipment market’s growth. However, the market is mainly being hindered due to high costs of the medical equipment, which is usually passed onto the patients in the form of steep usage fees. This might discourage those who do not have enough disposable income to make use of the equipment, consequently hindering the market’s growth. Nevertheless, numerous businesses are expected to introduce cost-effective solutions, which might reduce effects of restraints affecting the market up to a certain extent. This can surely increase the market’s potential, and make companies highly invest to facilitate research and development. From an overall perspective, the global orthopedic imaging equipment market is expected to grow with a highly steady CAGR, further attaining a significant market valuation throughout the forecast period. 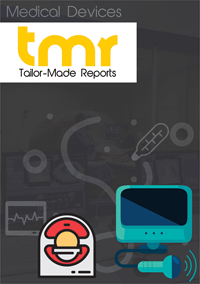 This report on the global Orthopedic imaging equipment market is a comprehensive market intelligence study that brings forth the lucrativeness of the said market. Beginning with an executive summary that comprise a snapshot of how the demand for Orthopedic imaging equipment has evolved over the recent past and where is it headed to in the future, the report delves into the analysis of various market dynamics, such as opportunities, trends, challenges, and drivers. A detailed overview of the said market with the analysis of porter’s five forces has been provided in a bid to present a concise and clear landscape of the market vendors to the readers. The market intelligence study also points at mergers, important conglomerates, numerous research and development activities, acquisitions, and corroborations. The said publication allows market stakeholders to study the market in detail and carefully and take well-informed decisions so as to optimize profit and minimize cost. The said publication has used some of the popular and important market trends in a bid to estimate the expected revenue that could be achieved by the said market in the years to come. The world market for orthopedic imaging equipment is expected to grow at a robust CAGR and is anticipated to attain a significant market valuation by the end of the period of forecast. Expanding pool of geriatric population and rising prevalence of bone-related disorders or issues are bolstering the demand for orthopedic imaging equipment across the globe. However, high tariffs on various medical devices are hampering the growth of various foreign medical device companies of developing countries, for the purpose of expansion of their orthopedic imaging equipment business in the international market. Many different countries such as India and other developing parts of Asia-Pacific are still facing high tariffs on medical devices that result in the declining sales of orthopedic imaging equipments. Availability of limited funds for medical device purchases and absence of genuine information about the medical devices from the manufacturer are hampering the growth of medical device market particularly in the emerging economies. This is, as a consequence, affecting the expansion of the business of orthopedic imaging equipments. The market vendors have been forecasted to obtain new opportunities as there has been an increased emphasis on spending more on the work of research and development by many of the fragrance manufacturing companies thereby expected to drive further growth of the world market for orthopedic imaging equipment industry. In addition to that, many of the market participants are anticipated to make a foray into the emerging economies that are yet to be explored so as to find new opportunities. Taking regional segmentations into consideration, the world market for healthcare information exchange has been categorized into geographies of Europe, North America, Asia Pacific, Middle East and Africa and Rest of the World. North America and Europe are the leading regions for orthopedic imaging equipment market and are anticipated to dominate over the period of forecast. North America orthopedic imaging equipment market is anticipated to expand at a growth rate of 4.0% CAGR over the period of forecast. U.S. medical device industry is faced with huge competition from various countries such as Japan, Netherlands, and Germany owing to low price of various medical devices. A few leading players that are operating in the world market for Orthopedic imaging equipment are Koninklijke Philips N.V. General Electric Healthcare, Hitachi Medical Corporation, Fujifilm Holdings, Carestream Health, Esaote SpA, Toshiba Medical Systems Corporation, Hologic, Inc., and EOS Imaging.